Windows 10 users who already own the PC version can get a free download, with support for both touch and game controllers. Minecraft PC players who've made the upgrade to Windows 10 can now get the Minecraft: Windows 10 Edition beta for free. 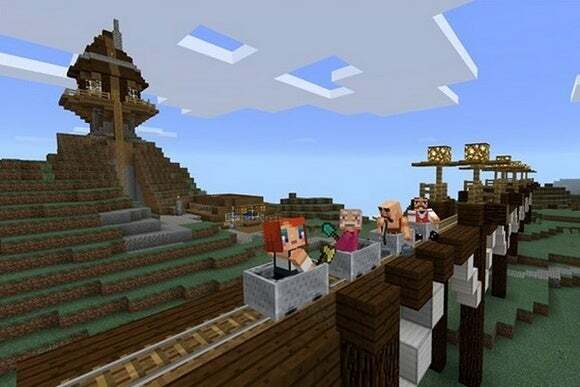 Eight-person multiplayer with other Minecraft: Windows 10 Edition players currently works over local networks and Xbox Live, and will connect with the Pocket Edition for iOS, Android, and Windows Phone in a future update. Users can also record their in-game exploits using Windows 10’s GameDVR feature. On the downside, Minecraft: Windows 10 Edition doesn’t support mods, Realms, multiplayer with the traditional PC version, or third-party servers, so in this regard it’s more akin to the mobile Pocket Edition of Minecraft than the PC one—which makes sense since Minecraft: Windows 10 Edition beta is basically a port of the mobile version of the game. It's also currently limited to x64 processors, so you won't be able to play it if you're using a system with an older x86 (read: 32-bit) CPU. To download the game, just head to the product listing in the Windows Store. For those who don’t already own the PC version, Minecraft: Windows 10 Edition costs $9.99 for the undetermined duration of the beta. All future game updates will be free, per the Minecraft tradition. Why this matters: Minecraft’s PC has sold more than 20 million copies as of June, though it’s not as popular as the mobile and console versions. The Windows 10 Edition isn’t likely to change that, but it does bring the PC more closely in line with the other versions in terms of controls and cross-platform multiplayer. 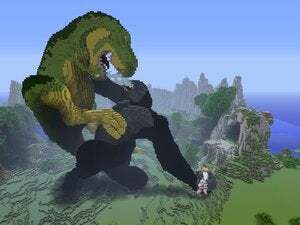 If Microsoft can somehow bring mods and Realms into the mix, it could have the ultimate version of Minecraft on its hands.